The vote is being held under the terms of a peace agreement that ended a bloody civil war in 1998 which cost the lives of between 15 and 20,000 people. An important meeting last week in Port Moresby agreed on the question to be put to the voters, and introduced former Irish Prime Minister Bertie Ahern as the new chairman of the Joint Supervisory Board, the body that will be oversee the vote. 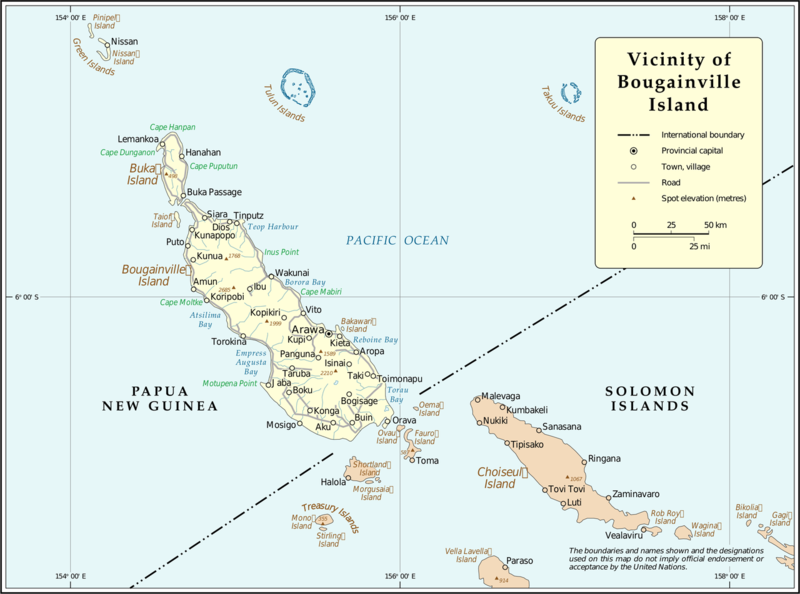 Bougainville President John Momis made it clear that his government will push for full independence. Technically, a vote in favor of independence will not decide the issue; the peace agreement calls for consultations with Papua New Guinea afterwards, but it’s hard to see how the government could deny the will of the people. Approval could fan independence movements in some of PNG’s other distant islands, including New Britain, New Ireland and the Admiralty islands. In New Caledonia, official campaigning begins next week for an independence referendum set for November 4th; all parties represented in congress will get free air time on public broadcasting – except one. The small Labour Party has called the referendum a farce, and asked its supporters not to vote. 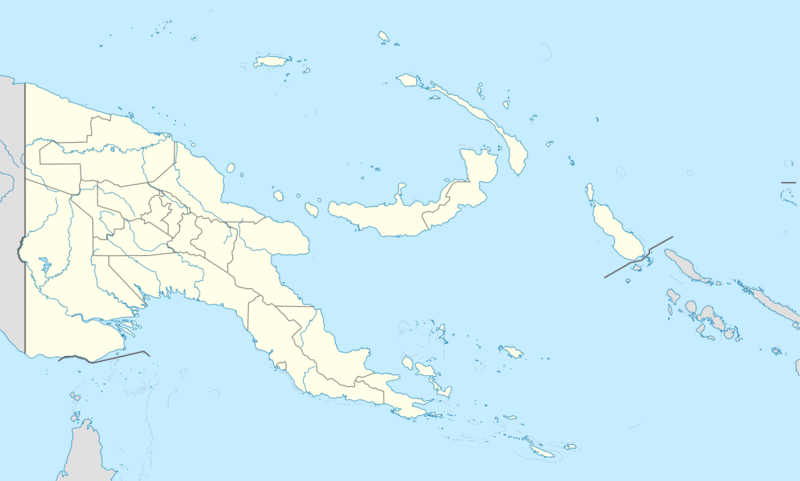 Map of Papua New Guinea. On the right, the island of Bougainville, and the left Papua New Guinea. According to RNZ Pacific, Leader Louis Kotra Uregei wants free air time anyway and threatens to go to court if he doesn’t get it. The Labour Party argues that since indigenous Kanaks are in the minority, the vote has already been decided. Opinion polls show that a large majority of eligible voters prefer to remain part of France.